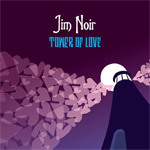 Jim Noir may hail from Manchester, England but there’s some serious Athens, Georgia informing his latest record Tower Of Love, though considering most of the Elephant 6 drew from the great British psychedelic bands of the 60s and 70s, the turnabout is fair play. Noir cops mainly from the dreamy, pastoral end of the pool though, crafting an exceedingly laid back and mellow record, which like many UK debuts is actually a compilation of three early EPs. But despite its piecemeal origins, it sounds quite cohesive and consistent if a bit cutesy over the long haul. An ideal soundtrack to running through a meadow in slow-motion. 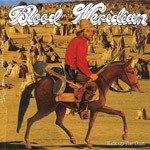 There is a cowboy on the cover of Blood Meridian’s Kick Up The Dust. He is not lost. He is not there by accident. For this record contains cowboy music. Okay, it’s not exactly the second coming of Hank Williams or even Gram Parsons – it sounds too determinedly contemporary to draw those parallels – but the new album from the Vancouver five-piece does have a distinctive western flavour, and I’m talking spiritually and not geographically (though they are from the west). Matthew Camirand (also bassist in Vancouver’s Black Mountain) sings in a sort of hybrid rasp-drawl and pretty much the whole record moves at a determined mosey, looking for a spitoon. 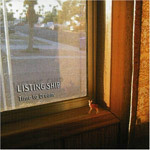 Also hailing from the west coast, though the American bit they call Los Angeles, is Listing Ship. This record is loaded top to bottom with sunshiney sweet chamber folk and serene, sing-songy harmonies courtesy of Heather Lockie and Lyman Chaffee (and occasionally Shawn Lockie). Relying almost completely on acoustic string instruments they craft a sound that’s so organic, it’s… like something really organic. Even a few quirky production touches (like the chugging electric rhythm guitar on “Crooked Teeth” making way for a violin solo) and a consistent, underlying lyrical eccentricity can’t take away from the overall vibe of late afternoon sunshine streaming in through a castle turret window. Not even the murder ballads.